Schmooze just keeps getting better and better! This past Friday’s event was a huge success with over 200 people in attendance. 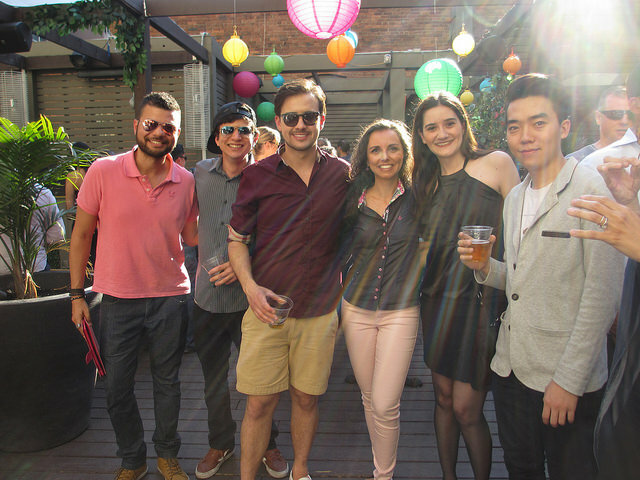 The rooftop was transformed into a colourful, lantern decorated garden, complete with flowers and balloons giving the patio the perfect summer feel. Miller Genuine Draft sponsored the event providing complimentary drinks to guests who arrived before 6:30 p.m., which was the perfect start to the night. The sun was shining bright and warm, making the snow-cone machine a massive hit. 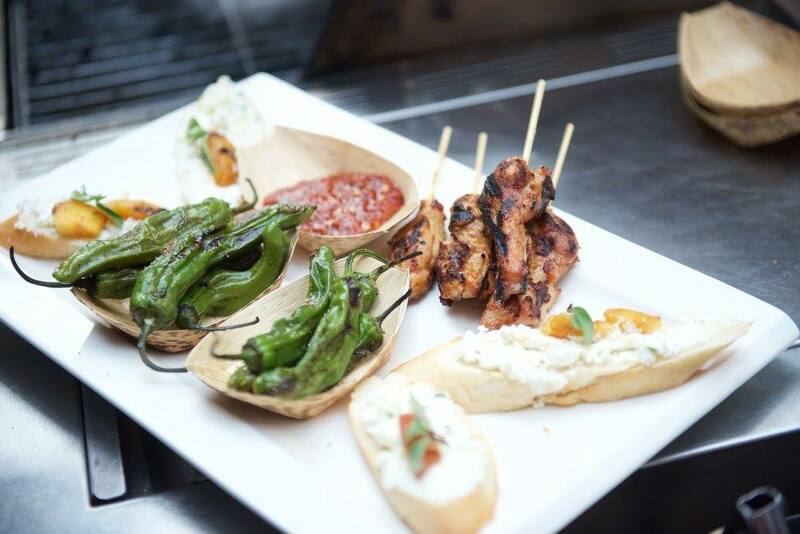 Guests were also treated to complimentary barbecue courtesy of Treeline Catering, which included sliders and skewers. A new addition to this Schmooze event was the classic party game of beer pong, set up to the right of the bar. The game was played by many guests, and even created a spectator gathering. Guests created memories by taking pictures for our social media contest, the winner receiving a $25 Sweet Jesus ice cream gift card. To enter, contestants posted a picture using the hashtag, #MaisonAfterWorkSchmooze. The winner chosen by the most number of likes on the post. Thank you to everyone who participated and congratulations to our winner @paola_latronico! On behalf of CityEvents, we would like to thank everyone who came to Schmooze with us and made this yet another successful event. 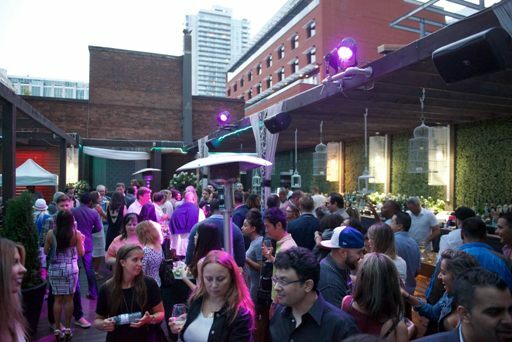 Don’t forget to join us Friday, August 12 for more after-work fun on one of Toronto’s best rooftop patios! To say Friday’s Schmooze grand opening at Maison Mercer was a success, would be an understatement. Attendees enjoyed delicious food, masterly crafted cocktails and the beautifully renovated rooftop patio. As guests arrived to the patio, the amazing energy of the event grew and grew. The beverage sponsor, Belvedere, graciously served complimentary drinks until 7 p.m. to go along with the other foods and treats provided by Maison Mercer and Treeline Catering. Along with sliders, skewers and other barbecue, there were rounds of sorbet and freshly popped popcorn up for grabs. On behalf of everyone at CityEvents, we would like to thank all of those who attended the Maison Mercer After Work Schmooze Grand Opening event. It was an amazing evening enjoyed by all and we can’t wait to see you on the patio again! For more information and to stay up-to date with CityEvents, visit www.torontocityevents.ca and follow us on Twitter @CityEvents. 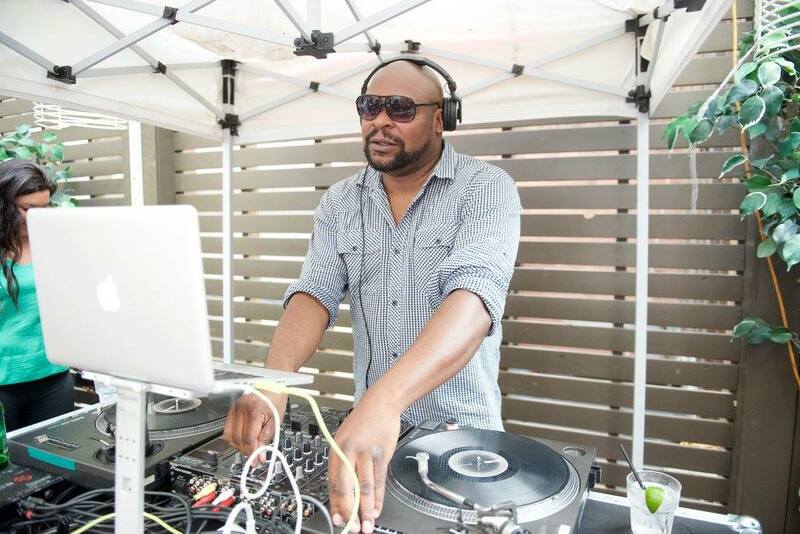 This Friday marks the return of Maison Mercer’s Schmooze after work patio party. As one of Toronto’s favourite after work parties in the downtown core, Schmooze starts at 5 p.m. – the perfect excuse to enjoy good music, good food and good company, right after work. You can beat the heat with the $4 happy hour specials and fuel your evening with the complementary barbecue provided by Treeline catering. Schmooze is Toronto’s favourite after work patio for both young and established professionals in the downtown core. With drink sponsors and prizes to be won, Schmooze is the best, weekly, after work party! When: May 27th, 2016 from 5-9 p.m. Thank you for joining us at Apothic White Schmooze hosted by CItyEvents and Shanny in the city. 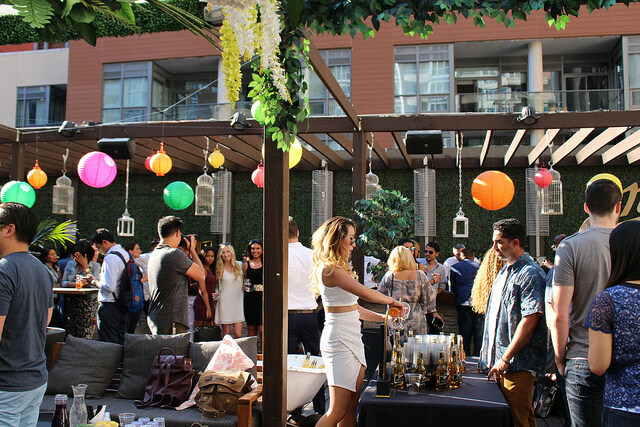 We enjoyed the end of the summer on the patio with you on beautiful roof top at Maison Mercer. This time,the theme was White so the Apothic Angels were all glammed up. There were mysterious and white beautiful angels with dark purple lips. 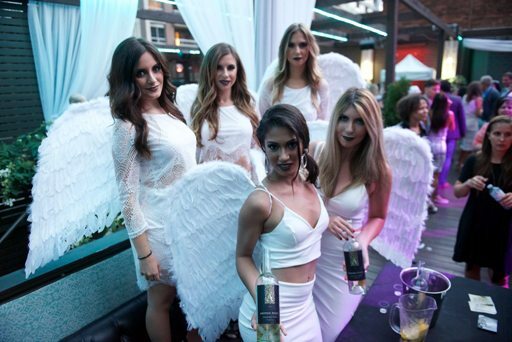 These Patio angels served the fruity and sweet white wine from California Apothic White. Also we could enjoy the tasty BBQ, Falafel,mini-burgers and meat kebabs.The Maison Mercer DJ also played great dance music and people started to groove around 9pm. We were thrilled we could have fun and share some sweet summer time with you. Again thank you for coming and sharing a wonderful time with us. Did you miss the last Schmooze? Don’t worry, we are be preparing next Schmooze in September. You can still have a chance to join us and socialize!!! See you at the next Schmooze, we are looking forward to seeing you.